JC Radon Services is the radon mitigation specialist. We offer testing and installation of radon mitigation systems to protect your family! We offer short term radon testing options, using professional grade continuous radon monitors. We can install a radon mitigation system within hours, which will take the radon out of your home. We bring radon services to western Wisconsin, Winona County MN, and nearby cities. With radon mitigation services as the focus of our business, we work with every homeowner to develop a set of custom radon mitigation services to properly match your needs. 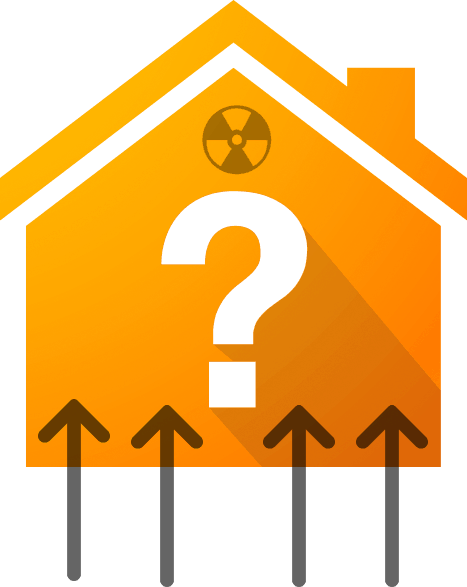 Radon gas is a health risk that many people do not adequately understand. JC Radon Services knows radon, where it comes from, why it is present, and how to construct radon mitigation systems that will remove any radon health threats from your home environment. 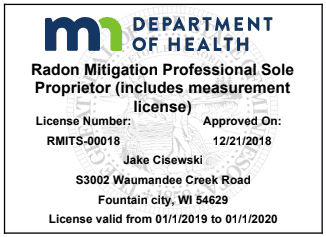 We are a licensed radon mitigation contractor and we will help you deal with your radon issues effectively!